My brother is big into trainers, or sneakers to the Americans. He once held the esteemed position of 'shoe guru' at Allsports. So naturally it was him I turned to for advice when I saw a very interesting pair of shoes in TkMaxx a few days before our departure. 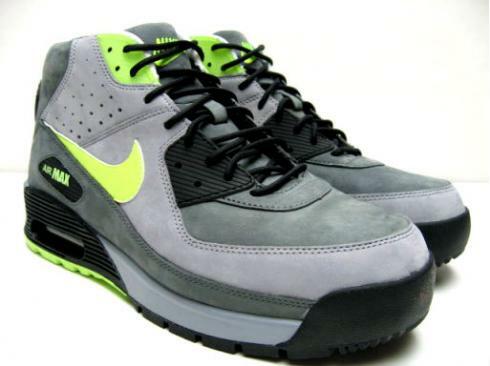 They're a Nike Air Max 90 boot, with almost a platform sole. I was um-ing and ah-ing about the purchase when a friend conveniently happened by and purchased them as a leaving gift for me. The good news is they have been immediately put to use protecting my feet from the rivers and lakes that form in Mostar's streets when the heavens open. Rowan has been similarly blessed by the Rocket Dog boots that were a leaving gift from our church. The more biblically minded among you may already be thinking 'Ephesians' when I mentioned footwear and so lets go there: For shoes, put on the peace that comes from the Good News so that you will be fully prepared. As important as keeping physical feet dry in wet weather is, keeping peace in our hearts is more important. And let the peace that comes from Christ rule in your hearts. That's a verse that played over and over in my mind as we sat through a couple of tense border crossings! There have been challenges and changes to plans even since we've arrived, as well as plenty of rain. So if we wake again to rain it won't just be our fancy footwear that we'll be reaching for!